Our blood is one of the most important organs in the body, carrying essential resources such as nutrients and oxygen from top to toe. However, as we don’t usually see our blood, it’s hard to tell if it’s healthy or not! This is unlike other organs such as the skin, since diseases of this body part are usually a lot more obvious! Our experienced private GPs know exactly which subtle symptoms to look out for with regard to diseases of the blood, including anaemia. That said, it also really helps if patients have an idea of what to look out for too, and when to seek medical help, which is why today’s blog is focusing on spotting the symptoms of anaemia. Did you know that your blood makes up around 7% of your total body weight, with approximately 5 litres of the stuff flowing around at once! When things are going well, it does a fabulous job; however things can sometimes go wrong with the blood, too, leading to the development of various blood diseases such as leukaemia, anaemia, bleeding disorders and lymphoma. Today we’re focusing on anaemia and the different types and symptoms for each. 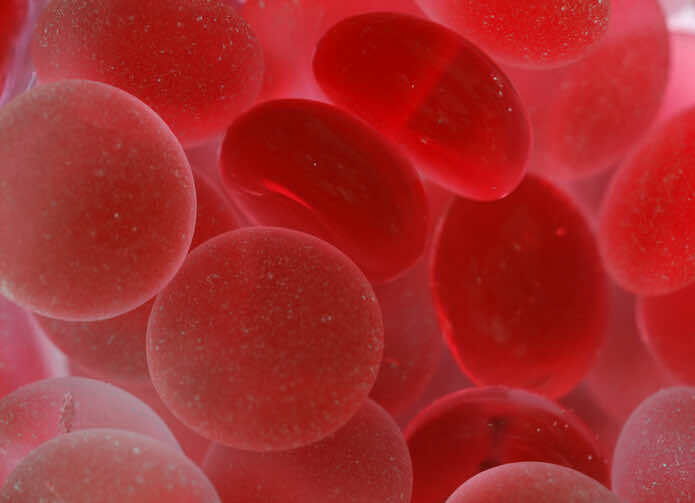 Anaemia is a common blood condition that develops when your blood lacks enough healthy red blood cells or haemoglobin. Haemoglobin is a crucial part of red blood cells which binds oxygen, allowing it to be transported in the blood to your organs. If you have too few or abnormal red blood cells, or your haemoglobin is low or abnormal, the cells in your body will not get enough oxygen, which can result in certain symptoms. This is an inherited type of anaemia, which is very rare in the Caucasian population, but relatively common in people of African descent. Certain diseases — such as cancer, HIV/AIDS, rheumatoid arthritis, kidney disease, Crohn’s disease and other chronic inflammatory diseases — can interfere with the production of red blood cells. There are several other types of anaemias, such as aplastic anaemia (the bone marrow doesn’t produce enough red blood cells), thalassemia (the body makes an abnormal form of haemoglobin), and anaemia associated with bone marrow diseases (such as leukaemia and myelofibrosis). If you’re concerned you may be experiencing any of the above symptoms of anaemia, or would like blood testing to detect any anaemia, why not book in for a private GP consultation at London Doctors Clinic? One routine blood test (with results available same-day) could provide a diagnosis for your symptoms, and our experienced GP’s are able to advise of treatment of such conditions to get you back to optimum health! Visit our clinic location page to find the nearest Doctors surgery to you!